Los Angeles Could Make $50 Million A Year On Weed, But Where Will Tourists Smoke It? Legal cannabis sales could, in fact, bring in more than $50 million in taxes to Los Angele. But there’s currently no place for tourists to smoke. 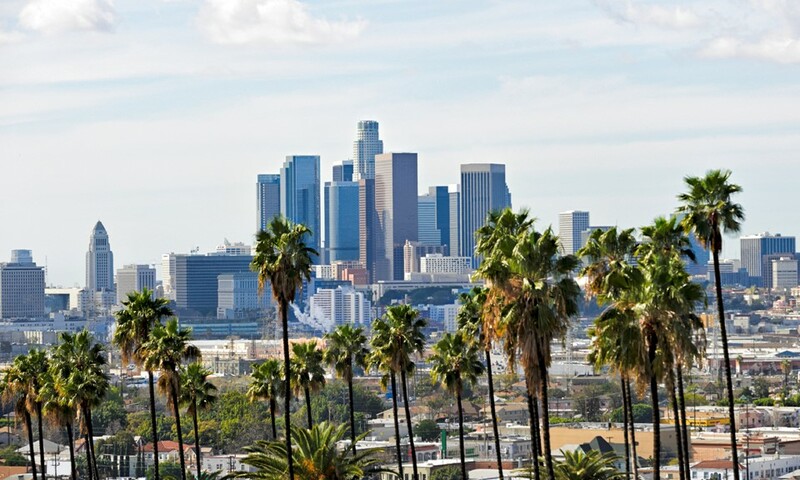 When legal cannabis sales in Los Angeles kick in, it will be one of the hottest cannabis markets in the country, according to almost all experts. It could, in fact, bring in more than $50 million in taxes to L.A. city coffers. But while city officials are busily drafting new rules to allow cannabis greenhouses, industrial processing facilities, and recreational pot shops, L.A. won’t look like Amsterdam anytime soon. The city is been cautious about accepting lounges where customers would be allowed to smoke or otherwise consume marijuana, reports the Los Angeles Times. This is worrisome to many cannabis advocates and their lawyers. They warn that even after the Golden State legalizes recreational weed sales, many tourists and renters could still be left with no place to actually light up in Los Angeles. Attorney Bruce Margolin, executive director of the L.A. chapter of the National Organization for the Reform of Marijuana Laws (NORML), said he finds it offensive that even as cannabis is on the verge of mainstream legitimacy, it is being over-regulated. Draft regulations released earlier this year would make it illegal for Los Angeles pot shops to allow cannabis consumption onsite. It is also illegal, under California law, to consume weed in public. And smoking a doob will remain illegal anywhere tobacco smoking is banned. Several speakers complained at a recent city hearing that could leave tokers (not) high and dry. While Californians are generally allowed to use cannabis on private property, renters may not be able to use it in their apartments if landlords forbid smoking. Zealous, pot-hating landlords could also target tenants for smoking weed if their leases prohibit “illegal activity” in their apartments. You see, committing a federal crime — which possession of marijuana remains — can get you evicted, according to cannabis attorney Pamela Epstein, owner/founder of Green Wise Consulting. If L.A. doesn’t want those renters go outside to smoke weed, it should give them a place to do so, Epstein said. But weed-phobic whiners claim such venues would make them feel upset, and bring down property values (when in fact, they’d almost certainly have the opposite effect on the real estate market — just look at Colorado). Attorney Margolin points to the famed coffee shops of Amsterdam, where tourists are allowed to buy and consume cannabis in a public setting. San Francisco, always more chill than L.A., already allows consumption lounges at a few medical marijuana dispensaries. A task force in S.F. has recommended allowing the same practice at recreational weed retailers, as the city prepares to regulate that new industry. But “social use” has been a hard sell to many local governments in California, since they just aren’t as familiar with the concept, according to Jolene Forman, staff attorney with the Drug Policy Alliance (DPA). Forman said forcing users to switch to edibles could make it harder for novices to gauge a proper dose.